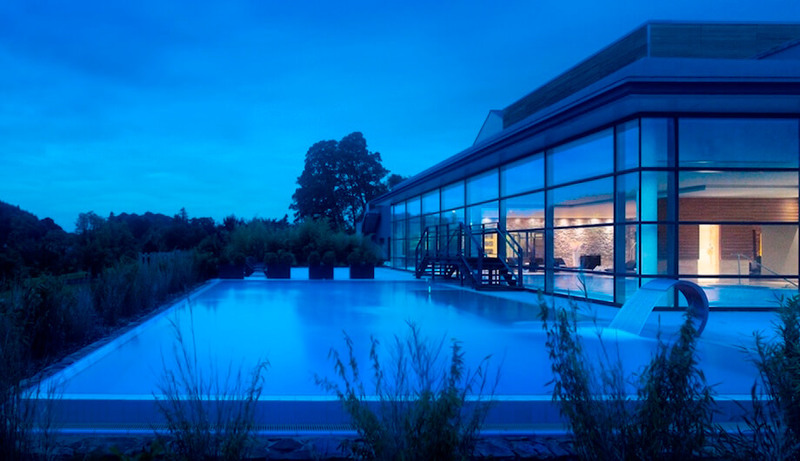 A couple of weeks ago, a teacher friend of mine suggested taking a little mini break while she was on her Easter holidays – and, when I did a little research, the Radisson Blu Farnham Estate in Cavan offered one of the best deals. At €320 (€160 each) for two nights midweek, plus dinner, it seemed like a really good package – plus, having been there before, I knew it was good. I was just about to press "book" when it occurred to me to contact the PR company and see if they would give me a free stay in exchange for a review (not, crucially, in exchange for a positive review – just a review*). Like I said, we weren't averse to paying for our break, but I thought it was worth asking! As it happens, they agreed to my proposition, but by the time all the creases were ironed out there was just one night available –which, of course, we gladly accepted! I had visited Farnham Estate a few years previously on a press trip and I remembered being really impressed. This time was no different; it has a really cosy vibe, probably due to the architectural blend of old and new. The atrium in the lobby is bordered by the back walls and columns of the main house. The last time I was there, we had afternoon tea served in the old house itself – while the restaurant, spa and rooms are in the modern building. Our room was straightforward but lovely – two single beds, an armchair (above) that I'm kind of obsessed with and a lovely bathroom with This Works products and a big bath! Plus, we had a cute little patio area outside our sliding doors. This time around, the spa itself was one of the main draws. We wanted somewhere we could go and get spa treatments and totally relax – and we weren't disappointed. 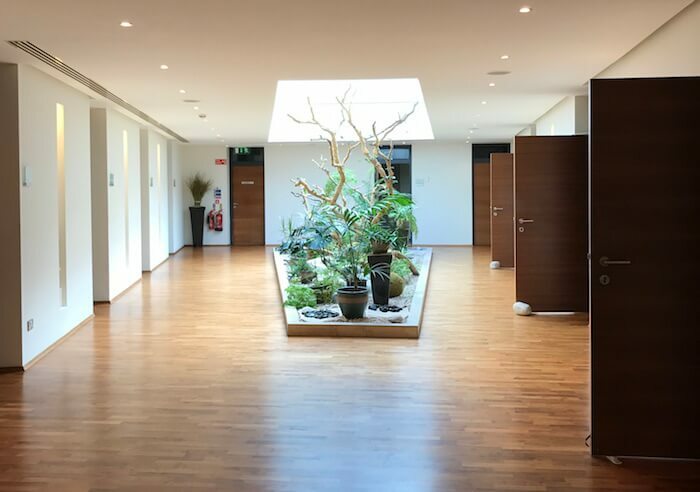 The spa area itself is really beautifully designed to be full of light, with natural accents of wood and foliage and beautiful treatment rooms. However, when we were there it was incredibly busy – and, I have to admit, this takes from the experience somewhat. On the one hand, it makes you realise just how popular it is! But on the other, it's slightly less relaxing than I had expected. I was also kind of perplexed by seeing people lounging by the pool – there's a little corridor you swim out of that leads on to the outdoor infinity pool, which is amazing – reading their books. Wouldn't you just read your books in your room?! We each had a bespoke ESPA facial (mine was complimentary) and I really enjoyed it. I have yet to meet a facial I didn't enjoy, quite honestly – although Image products are not my friends; I find them a little too harsh – and my skin felt lovely afterwards. Soft, smooth and (although this could be a placebo effect) I'm convinced it was more dewy and luminous. I also loved that the ESPA range is all natural, sustainably and ethically sourced, cruelty-free and suitable for veggies. Tick, tick, tick! I needn't have worried because the restaurant at Farnham Estate has a full – and fairly comprehensive – vegan and vegetarian menu. 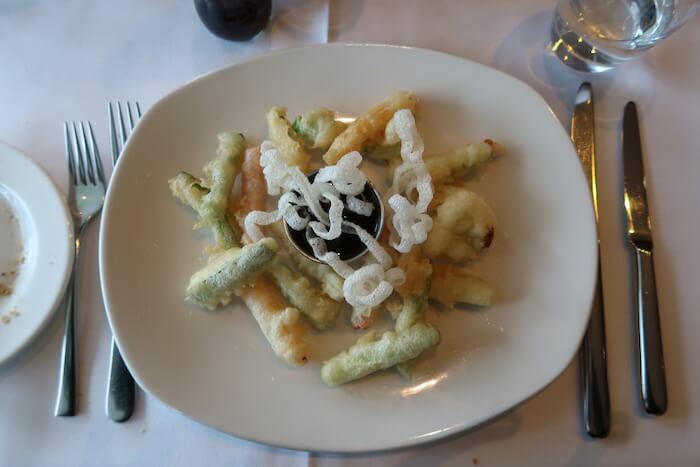 I opted for tempura vegetables, a veggie tagine and a lemon rice pudding for dessert. 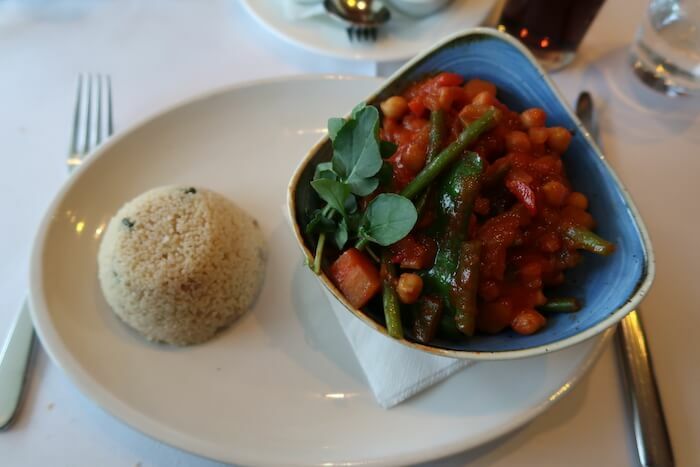 All were super tasty, although, if I had to criticise, I'd say that the tagine needed a little extra something. Raisins, maybe? I love raisins in a tagine! Breakfast was similarly good; there was the usual buffet, heavy on the pork products, but they also offered omelettes, pancakes and poached eggs that we could order from our server. As usual in a hotel, I ate way too much: mini Danishes, poached eggs on toast, sourdough bread and fruit salad. All very good. Yes – but not like this. I think that to really enjoy a hotel stay, you need to spend more than one night there. On a one-night stay, you check in after 3pm, unpack a bit, enjoy the spa, have dinner – and then it's bedtime. When you wake up, you'll barely have time for breakfast before you've to pack up and be gone by midday. With an extra day, I feel like we could have explored the estate a little more fully (we did go on a walk before we left, and the grounds are gorgeous, with loads of walks to take) and spent more time in the spa – ideally early in the morning, when it wasn't so crowded. I would also make sure to do afternoon tea the next time; when we stayed, they were offering a deal for (I think) €75 – which included an ESPA facial and afternoon tea. I remember that being one of the particular highlights of my first visit. *I don't offer positive coverage in exchange for free products or services and, on the odd occasion that I've done sponsored (i.e. paid for) posts, I will only ever do them about products or services I have tried or strongly believe are worth recommending. Just FYI.